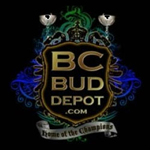 The BC Bud Depot produces the worlds finest marijuana seeds. We take pride in developing award-winning cannabis seeds and offering the most comprehensive marijuana seed bank worldwide. The BC Bud Depot has been developing the best marijuana seeds for a decade and every strain we carry has earned a place in our lineup of legendary breeds.